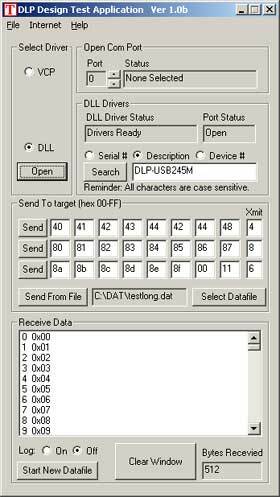 And best of all, its FREE for all DLP Design and FTDI customers! 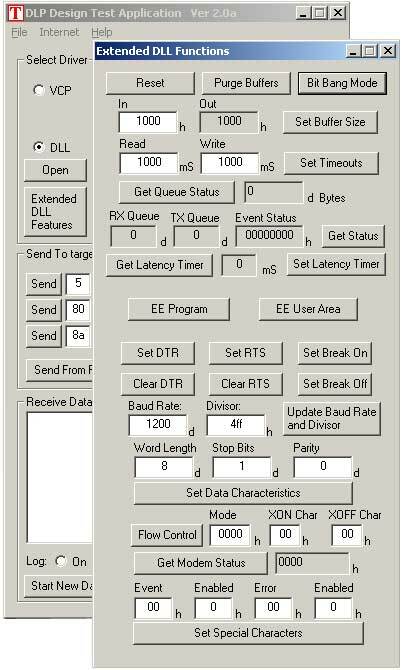 Download the DLP Design Test Application Version 1.0 here. 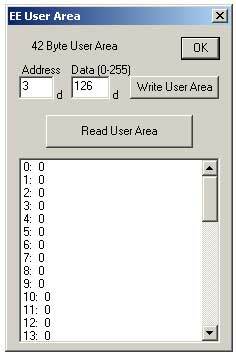 Easy access to FT232BM and FT245BM EEPROM data, both the User area and description strings. The Test Application software can be ordered on-line for $20. To order the Test Application, go to any product page and add Version 2.0 to your cart. The Test Application software is delivered via email attachment. Source code for the DLP Design Test Application versions 1.0 and 2.0 is not provided with this purchase and is not available for purchase.